Saw the greatest number of DUI arrests on Saturday, when just over 80 DUI arrests were made by CSP officers throughout the state. Over the 2015 Memorial Day weekend, CSP officers made nearly 300 DUI arrests, a trusted Denver & Boulder DUI lawyer explains. Contact us for the best DUI defense. While the Memorial Day weekend is traditionally the unofficial kick off of summer, it also serves as the start of CSP – and other law enforcement agencies’ – stepped up DUI enforcement efforts for summer. In fact, although the Memorial Day DUI enforcement efforts are over, CSP officers, along with law enforcement officers from other agencies, are focused on running Checkpoint Colorado, the 100-day+ summertime DUI enforcement campaign that will continue through the end of Labor Day weekend. Checkpoint Colorado will involve participating law enforcement agencies running at least three checkpoints during the campaign. This effort has been scheduled to coincide with the period of time during which the most DUI accidents – and DUI-related deaths – historically occur in Colorado. As CSP has noted, DUI accidents in Colorado tend to start increasing in April, continuing to increase steadily until around August when they usually peak. During the spring and summer, we will continue to focus our enforcement efforts on the detection and apprehension of impaired drivers as well as distracted drivers… Both are consistently the top causal factors for most crashes in Colorado, and drivers should expect zero tolerance for these types of violations. We are serious about reducing the number of injury and fatal crashes in Colorado and ensuring our residents and visitors arrive safely at their destinations. CDOT urges everyone across the state to plan ahead and have a safe way home. That cab ride home will be cheaper than a $10,000 DUI. It’s simple —if you drink or consume marijuana, don’t drive. 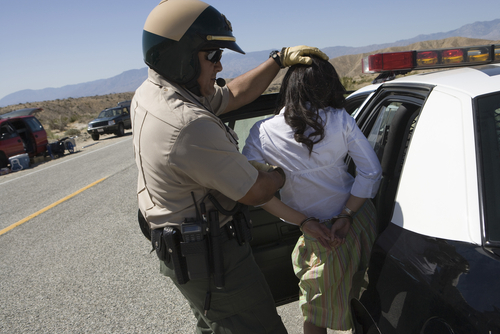 Have you been charged with a DUI – or with any misdemeanor or felony offense? If so, you can turn to a trusted Denver & Boulder DUI lawyer at Griffin Law Firm for experienced help aggressively defending your rights. With nearly two decades of experience in the criminal justice system, our attorney understands the complexities of the system, the challenges different defendants can face and the best ways of overcoming these challenges to bring criminal cases to successful resolutions.